Ann Peebles (b. 1947) is a U.S. singer and songwriter, best known for her popular Memphis soul albums of the 1970s on the Hi Records label. Two of her better known songs are "I'm Gonna Tear Your Playhouse Down" and "I Can't Stand The Rain". Born on 27th April 1947 in St. Louis, Missouri, USA, Peebles was discovered as a talent by Gene "Bowlegs" Miller of Hi Records during a 1968 trip to sit in singing with him at a Memphis, Tennessee, nightclub. Born on 27th April 1947 in St. Louis, Missouri, USA, Peebles was discovered as a talent by Gene "Bowlegs" Miller of Hi Records during a 1968 trip to sit in singing with him at a Memphis, Tennessee, nightclub. A popular local bandleader, Miller was known for also helping other musicians, such as members of the Hi Rhythm Section, get their starts in the Memphis music industry. Peebles soon began writing and singing hits for the label, cowriting with label staff songwriter Don Bryant, whom she married in 1974. Peebles released a number of commercially successful and critically well received albums produced by Willie Mitchell on Hi Records throughout the 1970s, until the rise of disco in the late 1970s took her music out of the limelight. 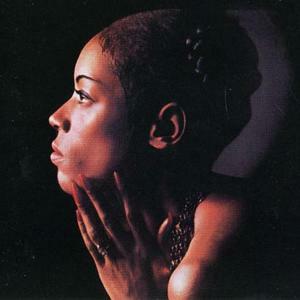 Hi Records was sold in 1977, but Peebles reunited with Willie Mitchell in 1989 to produce her comeback album, Call Me.